All regular group exercise classes are included in your Supreme Health and Fitness membership. We offer a variety of classes taught by the best instructors in Madison! Our classes are taught to ALL LEVELS, and we encourage everyone from the newcomer to the veteran to participate! 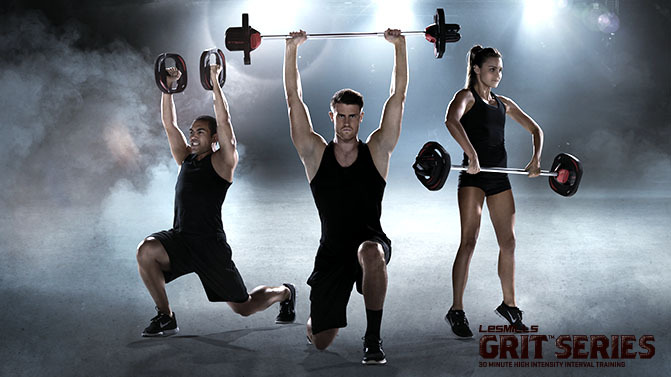 BodyPUMP is a licensed and internationally recognized strength class. During this muscle endurance class you'll work toward strengthening and defining every major muscle group in your body. True to its motto, this weight lifting class nets: "Real Results, Real Fast." Pilates is a system of body conditioning exercises created over 70 years ago by Joseph Pilates. The mat class uses your own body weight to strengthen your muscles and increase flexibility. The exercises focus on developing your core muscles: your abdominals, back and glutes. Some Pilates classes incorporate the Swiss Ball for variety and an added dimension to your workout. 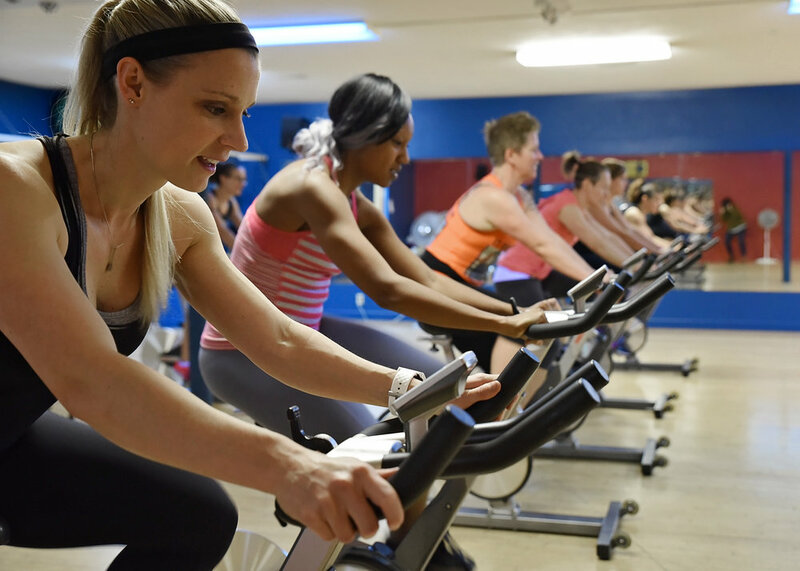 This group exercise class is taught on specialized stationary bikes. You control the resistance level on your bike, which means you're in charge of the intensity of your own workout. Our inspiring instructors are there to keep you motivated throughout your ride and to give you a great workout! This class can help to increase your overall strength, endurance and aerobic threshold levels. Please note, there is an advance sign up for some cycling classes. This cardio workout is performed by stepping up and down on an adjustable platform. Strengthen, tone, and improve coordination. This low impact class uses cardio work to produce an easy-to-learn and effective workout. A dance cardio workout. Move to the heart pumping beats of Bollywood. Low and high impact will be available in every class. Boot Camp is an aerobic and anaerobic class using bouts of power, balance, agility and fun to create a great full body workout! You'll perform a wide variety of exercises in every class by using several different gym "toys." Give your mind and body a new challenge. All fitness levels are welcome and encouraged to attend. Advanced and modified levels are shown for every exercise. A 30 minute licensed and internationally recognized HIIT (High Intensity Interval Training) class. GRIT delivers huge gains in fitness and changes your shape. 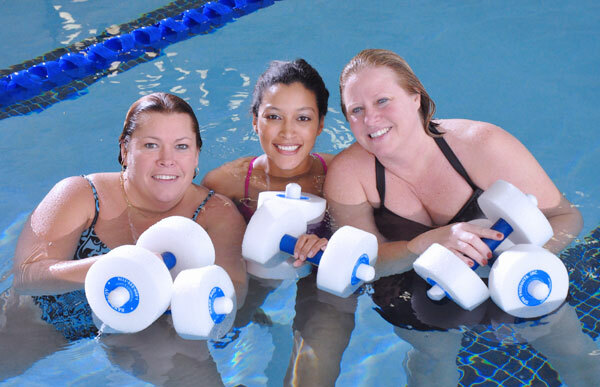 AquaCoreStrength: low impact class that focuses on balance and core. Zumba is a fusion of Latin and International music. It is a mixture of body sculpting movements with easy to follow dance steps. The principle of Zumba is that a workout should be "Fun and Easy to do" allowing participants to stick to a program and achieve long-term health benefits. Born in the Navy SEALs, Suspension Training bodyweight exercise develops strength, balance, flexibility and core stability simultaneously. It requires the use of the TRX Suspension Trainer. A performance training tool that leverages gravity and the user's body weight to complete hundreds of exercises. Yoga is a mind/body discipline that can improve your strength, balance and flexibility while decreasing tension and stress through asanas (exercises), breathing and relaxation. YogaCore: A typical Hatha Yoga class with just a little more "core" work. Gentle Yoga: A more laid back yoga class with a focus on stretching and relaxation. A wonderful way to start out your Sunday morning! YIN Yoga is suitable for all body types and students are encouraged to move slowly and mindfully into the poses. Modifications are offered if needed. This program combines a variety of different exercises and disciplines to provide the ultimate total body workout. TaeBo® fitness combines the self-awareness, the control of martial arts, the focus and strength of boxing, and the grace of dance. Billy Blanks himself has made a few appearances at our club!